Win Have You Seen The Listers? : Insight into the rise of a world-renowned street artist | SWITCH. 'Have You Seen The Listers?' is a candid and personal insight into the rise of world-renowned street artist Anthony Lister as he challenges conservative Australia, whilst battling his own demons. Lister will have you gasping for air as he rises up the ranks from street artist to celebrated contemporary artist in the complex world of fine art. While the complexities of hype, fame and contradictions of the art world are present, at its heart this is a story about family and fatherhood. We witness the birth and breakdown of a family unit, juxtaposed with the rise of a star. The 'Have You Seen The Listers?' competition has now closed. Winners will be announced shortly. Competition opens at 5pm AEDT on Sunday 25th March 2018 and closes at 11:59pm AEST on Sunday 1st April 2018. Ten winners will be chosen at random on Monday 2nd April 2018. To successfully win, entrants must fulfil the above entry conditions before the time the competition closes. Current members/followers are eligible to enter the competition. Only one entry per person. Only one winner per household. To be a valid winner, the entrant must not have won a prize from SWITCH within the last 28 days. 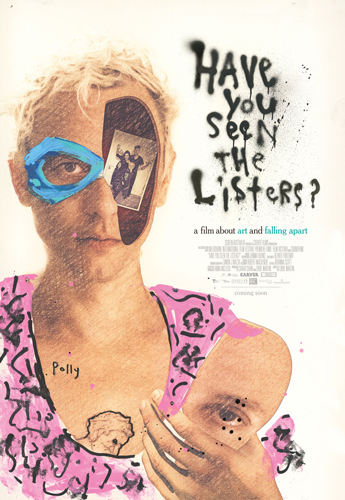 Each winner will receive one double pass to 'Have You Seen The Listers?'. By entering, you agree to receive occasional emails from SWITCH in the future. If you decide to unsubscribe from these updates, any further entries will not be applicable. Only Australian residents are eligible to enter. 'Have You Seen The Listers?' is in cinemas from Thursday the 5th April 2018 through Transmission.